Listen to "Ernest Hemingway" on your iOS and Android device. One of the first shows was on the life of Winston Churchill that featured sound clips of his friends and enemies produced by Joseph O. Meyers. It was such a success that Meyers was requested to produce more shows on other famous people that included, W.C. Fields, Babe Ruth, Red Allen and more. 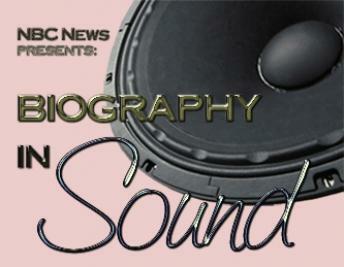 Each Biography In Sound show introduces the life story of a well-known historical figure. It includes a fine mixture of anecdotes, interviews, critical reviews, and sound clips of the subject's voice. Excellent, full of history. I loved it, I felt like I personally knew Hemingway. I enjoyed hearing stories of Ernest Htemingway. I did not know much about him; and thought it was interesting. Well done! Excerpts from Hemingway and anecdotes --- interesting,and Hemingway remains an enigma. Hemingway was afflicted with Bipolar mental disorder...not,mentioned. At the time of the interviews Hemingway was alive.